(HARLINGEN) – Eric Salinas of Los Fresnos is a Business Management Technology student at Texas State Technical College. 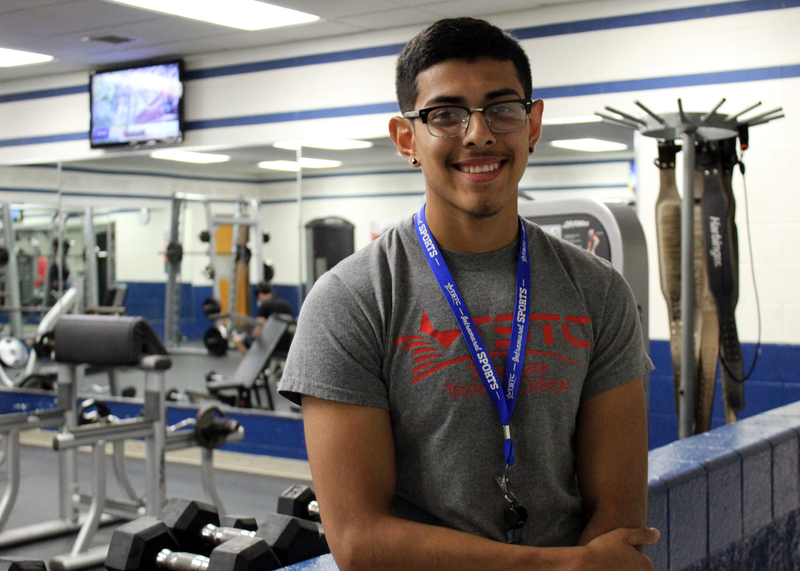 The 19-year-old expects to earn his associate degree in Summer 2019 and is currently a work study for the TSTC Wellness and Sports Center. After I graduate I plan on transferring to Texas State University to get a bachelor’s in Kinesiology. My dream job is to open a gym, and TSTC is giving me the fundamental I need to make this come true. I want my place to be equipped with the latest workout equipment and I want to offer classes and private training. My greatest accomplishment has been working at the Wellness and Sports Center. It’s giving me a first-hand look on how a gym should be managed. Working there has also helped me grow professionally and personally. The greatest lesson I have learned since beginning college is to not procrastinate. This is a really bad habit and it hasn’t worked out well for me in college. So now I’m learning how to be ahead of my game and I’ve been less stressed since changing this habit. TSTC Wellness and Sports Supervisor and coach Joe Garza has had the greatest influence on my success. He has shared his experience and knowledge with me about gyms, sports and life. He is always advising me to become active on campus and gives great school and life advice also. My advice for future TSTC students is to get your work done, meet deadlines, do not procrastinate and have fun.